CROSSMAGLEN and Ballymacnab are expected to advance to the semi-finals from this evening's Armagh SFC double-header at the Athletic Grounds. Rangers take on Clann Eireann (6.45pm) preceded by Ballymacnab and Madden (5pm). 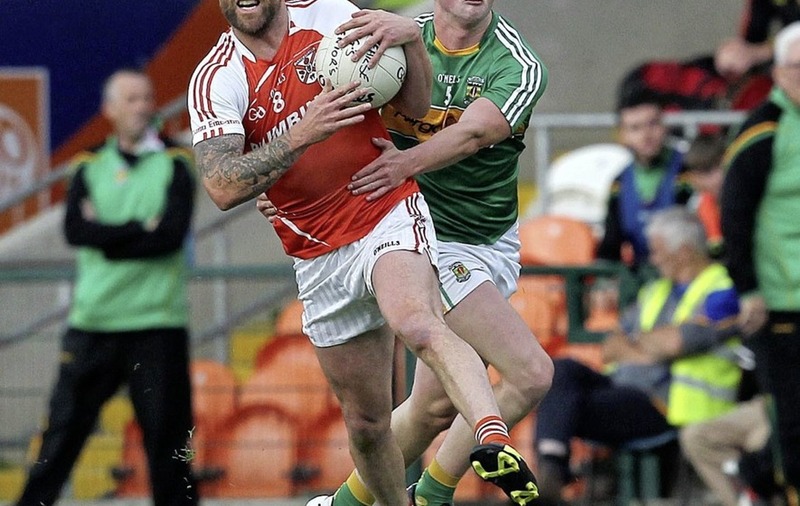 Even without Jamie Clarke, Cross had little difficulty seeing off Wolfe Tones in the previous round, stepping on the gas in the second period before running out comfortable 1-19 to 1-7 winners. The O'Neill brothers – Rian and Oisin – and Aaron Kernan accounted for most of the scores. Clann Eireann have got this far by beating Armagh Pearse Og and Dromintee and have discovered a rare talent in county minor Conor Turbitt. Whilst veteran Ryan Henderson is still the string-puller, Kieran Robinson's side are one of the up-and-coming teams in the county as a result of an excellent underage structure. Their run to the semi-final last year was probably a bit ahead of schedule and whilst they will be hoping to go one better here, being up against a side that has won 19 championships from 21 seasons is a tall order. Normally, losing out to defending champions would be seen as no disgrace to any side, but not Cross who were absolutely gutted from being floored by Maghery. They had a nightmare second half conceding three terrible goals which has made their bid to win back the title all the more determined. Many claim they are not the Cross of old and their performances against Whitecross in the first round and the opening period of the Wolfe Tones qualifier would lend a certain amount of credence to this. But they still have an immense array of talent allied to the technique of working through the gears. Aaron Kernan, James Morgan and Paul Hughes are tried and trusted defenders; young Stephen Morris is developing into a fine midfielder and up front the O'Neill brothers, Stephen Kernan, Mickey McNamee and Kyle Carragher will sternly test any defence. If Clann Eireann are to pull off a surprise Ryan Henderson, Ryan Owens, Barry McCambridge, Jack Wilson, Conor McConville, Declan Leathem, James McDade and Daniel McKavangh must be at their best. Madden should be well buoyed up after their victory over fancied Dromintee, only their second senior championship success in 19 years. It was a complete team effort, though the indiscipline of Dromintee made it that much easier. County man Niall Grimley totally impeccable with his place kicking. No doubt Ballymacnab have taken note of this and manager Lenny Harbinson will have his charges well warned not to fall into the same trap. However, it would be misleading to suggest that this was a one-man show. The Madden defence was organised to the last letter, midfielders Liam and Ryan Grimley, called the shots and Aaron McKenna, Ciaran Rafferty and Conor Grimley worked their socks off in attack. Following a nervy start against Granemore in round two, the 'Nab made light work of disposing of their parish neighbours, county man Rory Grugan hitting 1-7. The Round Towers, who went up to Senior A in the league this year, have been warming to championship fare for some time now and have an all-round balanced side. Ryan Kennedy is a tower of strength at the heart of their defence, playmaker Rory Grugan operates his role intelligently from the middle of the park and Gavin McParland, Jack Grugan, Brian McCone are amongst the best score-getters in the county and it's this reliable department that should see them through. Make no mistake Madden will be up for it.